Technology, coffee, investments, beer – most consumers value choice in some aspect of their lives. But what if having too many choices leads to bad decisions and costly mistakes? Carnegie Mellon University economists Saurabh Bhargava and George Loewenstein, and Justin Sydnor from the University of Wisconsin School of Business, found this to be the case at one company that required employees to select from a menu of options and build their personal health plans from the ground up. The researchers found that the employees typically designed health plans that would cost them more than other plans with similar coverage. 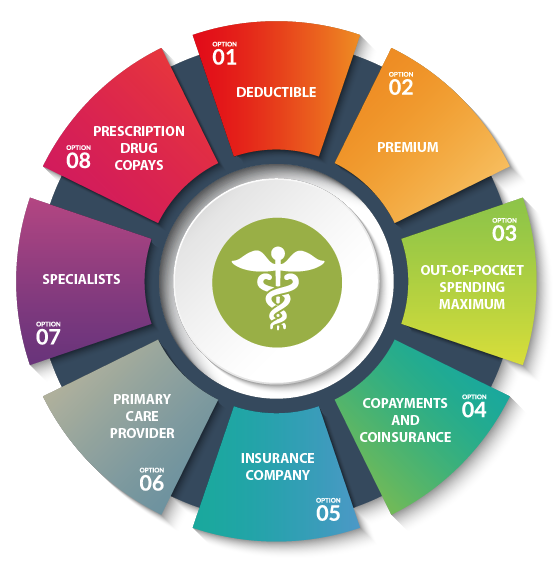 The cost of these choices was large for the average employee – about one-quarter of their annual premium payments in the coming year. An extreme example is the group that chose a plan with a $350 deductible. They paid about $1,100 more in premiums to save, at most, $650 in out-of-pocket spending throughout the next year. Further, lower-paid employees earning under $40,000 per year were much more likely to make these mistakes. In the late 1990s, six out of ten retirees found retirement “very satisfying.” Today, not even half do, according to a recent analysis of a long-term survey of older Americans. The news isn’t all bad, since the “moderately satisfied” share rose – and moderately satisfied is probably a more realistic goal for most people anyway. 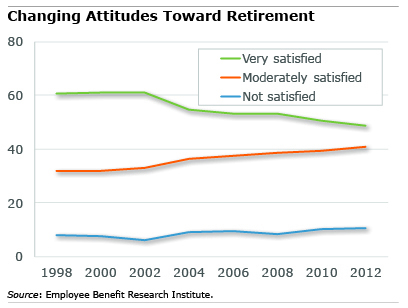 But the question of why so few people are very satisfied with their retirement state of mind is difficult to pin down. The survey analysis by the Employee Benefit Research Institute (EBRI) and past academic research provide some clues. How will your spending change once you retire? Will you be able to afford your needs? Will healthcare drain your budget? 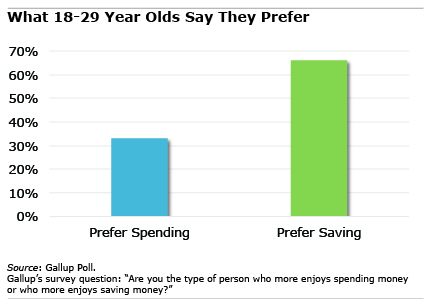 The U.S. Bureau of Labor Statistics (BLS) provides some clues in its data on the spending patterns of older Americans. The pie charts below show the percentage of total household budgets in 2014 that went to everything from housing to entertainment for two older age groups. Housing. Nearly 70 percent of elderly homeowners over age 75 have paid off their mortgages, while only a third in the 55-64 group have. But there are other costs associated with homeownership, such as maintenance. And a large minority of older people are renters. The upshot: housing gobbles up about one-third of older households’ yearly budgets, regardless of their age. Most of us know how distracting and stressful it is when our credit card balance creeps up or there’s a gap between a bill’s due date and when our paycheck gets deposited. But financial stress can also create serious problems at work like absenteeism, problems that can turn around and compound the financial problems. More than one in four employees who said they deal with “financial stress” admit that it interferes with how well they do their jobs, says a new survey of 5,000-plus workers by the consulting firm Willis Towers Watson. It also increases absenteeism. The study found that workers stressed about their finances are absent from work 3.5 days per year, on average – nearly double the absenteeism of people who are not stressed. And when the worriers are at work, they are “highly distracted” – this distraction can gobble up 12 additional days per year, interfering with how well they do their jobs, the survey found.